Late Thursday afternoon, the Ways and Means Committee of the House of Representatives favorably reported eleven health care bills with most of the bills related to consumer-directed health plans. The next step planned is for these bills to be taken up by the full House of Representatives before the House leaves for August recess. Whether and when the Senate will act on these bills is less clear. While the retiring Chairman of the Senate Finance Committee, Orrin Hatch (R-UT), is an advocate for health savings accounts (HSAs) and has sponsored legislation that expands HSAs, tax legislation, like the bills reported out of the Ways and Means Committee on Thursday, may need to be included on other must-pass legislation to advance in the Senate. The bills reported out of the Ways and Means Committee of primary interest to ECFC members deal with the following topics. Delay of the Implementation of the Cadillac Tax. The Committee favorably reported a bill which would delay the implementation date of the excise tax on high cost health plans added under the Affordable Care Act (ACA) (referred to as the ?Cadillac Tax?) until taxable years beginning after December 31, 2022. Repeal of the Cadillac Tax has been an important priority of ECFC and, while the delay of the effective date of the tax is welcome news, ECFC will continue to advocate for full repeal of the tax. In addition, this bill places a retroactive moratorium on the ACA employer mandate in 2015 through 2017 and for 2018. Broadening of Qualified Medical Expense Definition. H.R. 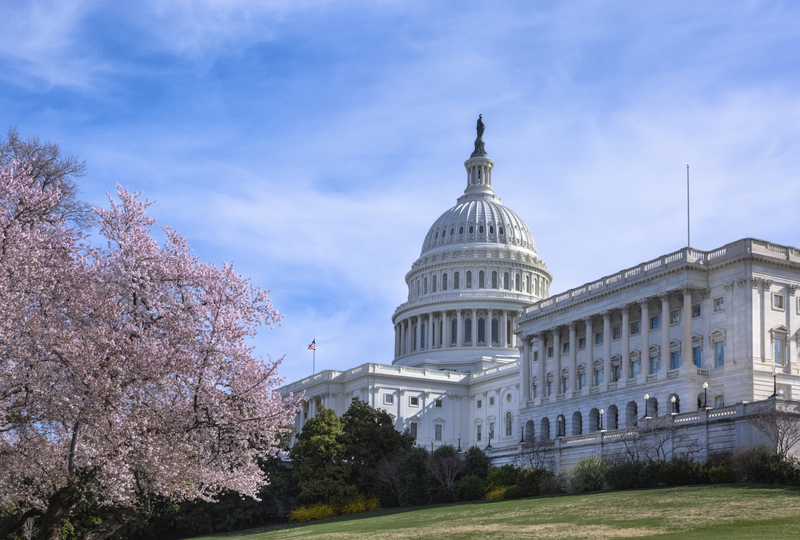 6199 would again allow flexible spending arrangements (FSAs), health reimbursement arrangements (HRAs) and HSAs to reimburse for over-the-counter drugs. In addition, menstrual care products, such as tampons, caps and liners, would be considered medical expenses that can be reimbursed from FSAs, HRAs and HSAs. H.R. 6309 would allow certain sports and fitness expenses to be considered qualified medical expenses. The bill places limits on the types of expenses will be considered qualified medical expenses and places dollar limits on the amount of those qualifying expenses. Sports and fitness expenses that qualify as medical expenses would be limited to $500 per year for single tax return filers and $1,000 per year to joint return filers and sports safety equipment is limited to $250 per year. These dollar limitations will cause administrative challenges in using debit card technology to provide reimbursements from FSAs and HRAs and we have alerted the technical staff to these issues. Increase HSA Contribution Limits. H.R. 6306 would increase the amount that an individual can contribute to an HSA to the annual out-of-pocket limit for an HSA-qualified high deductible health plan (HDHP) effective in 2019. In 2019, the annual out-of-pocket limit for self-only plans is $6,750 and for family plans $13,500, while the deduction limit is $ 3,500 and $7,000 respectively. This would result in a substantial increase in the amounts that can be contributed to an HSA. Expand Eligibility for HSAs. To contribute to an HSA, an individual must not have coverage below the high deductible amount. Various bills considered in the markup provide that certain coverage below the deductible amount will not result in individuals being ineligible to contribute to an HSA. H.R. 6301 will allow a HDHP to pay up to $250 for certain specified services below the deductible amount. This will allow for coverage of certain high-value, low cost services like telehealth, chronic disease management (such as diabetic testing strips) or primary care visits that are below the HDHP?s limit on the deductible. H.R. 6305 provides that on-site health clinics provided by an employer will not cause its employees to be ineligible to contribute to an HSA. H.R 6305 also provides that an individual will be eligible to contribute to an HSA if the individual?s spouse has an FSA, but only if the spouse?s FSA cannot reimburse that individual?s medical expenses. This bill also allows FSA and HRA to fund an individual?s HSA under certain situations. H.R. 6317 would provide that payments for direct primary care arrangements would not be considered coverage below the deductible. The direct primary care arrangement is where an individual makes a monthly payment of not more than $150 ($300 if such arrangement covers more than one person) to receive unlimited primary care health services during that month. Individuals that are entitled to Medicare Part A can contribute to an HSA under H.R. 6309 if they have a HDHP under H.R. 6309. Similarly, under H.R. 6314, individuals who have bronze or catastrophic coverage will be eligible to contribute to an HSA. HSA ?Housekeeping? Issues. H.R. 6306 also allows spousal catch-up contributions to be made to the same HSA account, rather than separate accounts for each spouse. H.R. 6306 also addresses an issue on reimbursements of medical expenses in the first year that an HSA is established. Current law requires that only medical expenses incurred after the establishment of the HSA can be reimbursed from that HSA, even if the high deductible health plan was in effect when the medical expense was incurred. H.R. 6306 would eliminate that problem so that medical expenses incurred after the high deductible health plan was in effect as long as the HSA is established within 60 days of the effective date of coverage under the high deductible health plan. FSA Carryforward. Under current IRS guidance, a health FSA can provide for a carryforward of unused balances of $500 or less into the following year. Under H.R. 6316, all unused balances in a health FSA can be carried forward to the following year. Modification of the ACA Premium Tax Credit. H.R. 6311 changes the health plans that are eligible for the ACA premium tax credit.